If you are feeling ignored or let down by your divorce lawyer, or they are simply not getting the results you need, it is never too late to find new representation. As top family lawyers for high net worth clients, Vardags can quickly take over your case and start getting you a life changing result. Vardags pride ourselves on our innovative, boundary pushing, and law-changing approach to litigation. We have fought cases at the very highest level, forcing changes in the law and getting the very best for our clients. Our clients receive unrivalled levels of service and responsiveness, with our lawyers wholly dedicated to getting you the very best result from your case. It is never too late, or too early, to transfer your case to us and start getting the very best representation you can. My current solicitor can't cope and/or isn't really fighting for me. Your divorce is likely to impact upon your finances for the rest of your life. It is vital that you have a legal team who can trust to deal with your case effectively. If you are unhappy with your legal team, it is very easy to change to new solicitors, only requiring you to lodge a Notice of Change with the court. 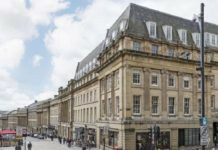 Vardags are a top family law firm and are used to working on complex and high value cases. Your case will always get the attention and support it needs. Our lawyers offer an unrivalled level of service and will work their hardest for you. We will use our experience and expertise to find innovative solutions for your case and ensure you get the best possible outcome. My spouse is airing our dirty linen in the press. Divorcing is not easy. It can be even harder if your partner is sharing details with the press. Seeing stories about yourself can be highly upsetting, especially if they are only showing one side of the story – and even worse if that side is not true. Vardags are used to working with clients who are in the public eye and managing the publicity surrounding divorce. 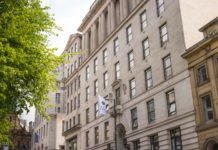 Ordinarily, family proceedings are held in private but for high value cases in the High Court, this can be dispensed with by a judge, allowing the press and the public in. Moving your case to arbitration (a form of private court) gives you complete control over who is allowed in and ensure that proceedings are completely private. It may also be possible to obtain injunctions preventing your spouse from sharing some, or all, of the details of your life with the press. Sometimes it is important to get your story across in order to protect your reputation. This has to be managed carefully, to ensure you do not breach the rules of the court or prejudice your case. Vardags can help you manage the press and engage with the publicity your divorce attracts. 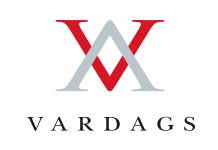 Whether you want to protect your privacy or set the record straight, Vardags can provide you with sensitive and discreet advice. Our lawyers are experienced at working on privacy and media cases, including High Court cases involving high profile individuals. We also have links with respected journalists and can help you set out your story in a way which will not damage your legal case. However you want to respond to the publicity in your case, Vardags can help. I've run out of money to pay my legal fees. High value divorces can lead to expensive litigation, but you should not be squeezed out of getting your fair share because you do not have the money to pay your fees. Though family lawyers are not allowed to work on a “no win, no fee” basis, we can often find away to keep your case going. If you are expecting a sizable settlement, you may be able to get funding from a specialist litigation lender. These companies will lend money to you, paid directly to your lawyer, so that you can continue your case. They will be paid out of your settlement at the end of your case. 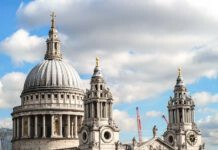 Vardags has well-established links with the leading litigation lenders and will work with them to make sure you can see your case through to the end. If you are unable to secure a litigation loan, it may be possible to make your spouse pay your legal fees. The court can make orders for Legal Services provision, requiring your spouse to make a monthly payment to your lawyers. This will cover some or all of your fees, allowing you to keep fighting for your fair share. If you have a high value claim but lack the current funds to fight it, we may well be able to help. We are often able to find creative solutions for clients with large cases that they lack the funds to fight, contact us today to find out how we can help you. Vardags are not able to undertake cases on Legal Aid. I've run out of money to meet my living expenses. If your spouse has stopped supporting and you are struggling to meet your daily expenses, Vardags can help. It is possible to apply to the court for your spouse to provide you with interim maintenance, also known as maintenance pending suit. Here the court will look at your short term income needs and will order your spouse to make payments to meet them. If such an application is required, your spouse might also be ordered to pay your legal costs relating to it. The court will not permit your spouse to cut off you or your children. As experienced family lawyers, Vardags will help you negotiate interim solutions for your finances, and if necessary seek the court’s intervention to ensure that your needs are met. It's all taking too long and costing too much. Sometimes litigation can get bogged down in a costly mire. The case can drag, whilst endless correspondence pushes up solicitors’ costs. It may be possible to escape this morass by changing solicitors. Vardags are used to taking over cases from other firms, and we work hard to reinvigorate them. We pride ourselves on our dynamic and client-focused approach to litigation and will do all we can to get your case moving forward. By moving to us, we help bring your case to a quick and fair conclusion. This will minimise costs in the long-term and allow you to get on with your new life.